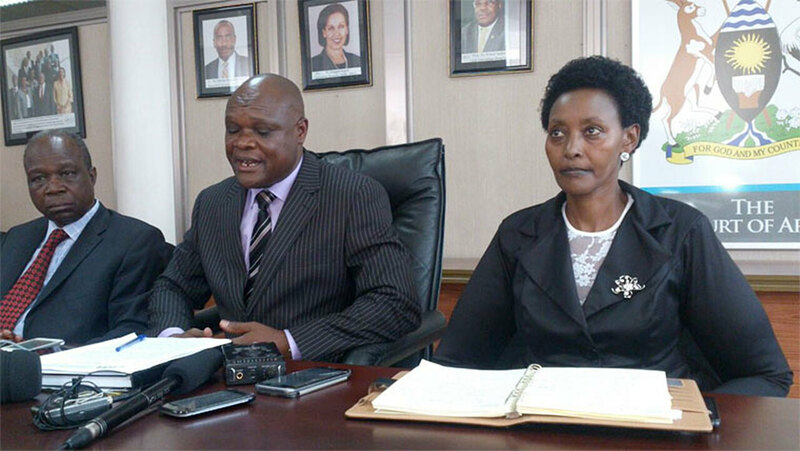 KAMPALA – Interdicted Uganda Investment Authority Executive Director, Ms Jolly Kaguhangire has declined to vacate office, claiming that the Board decision was null and void. 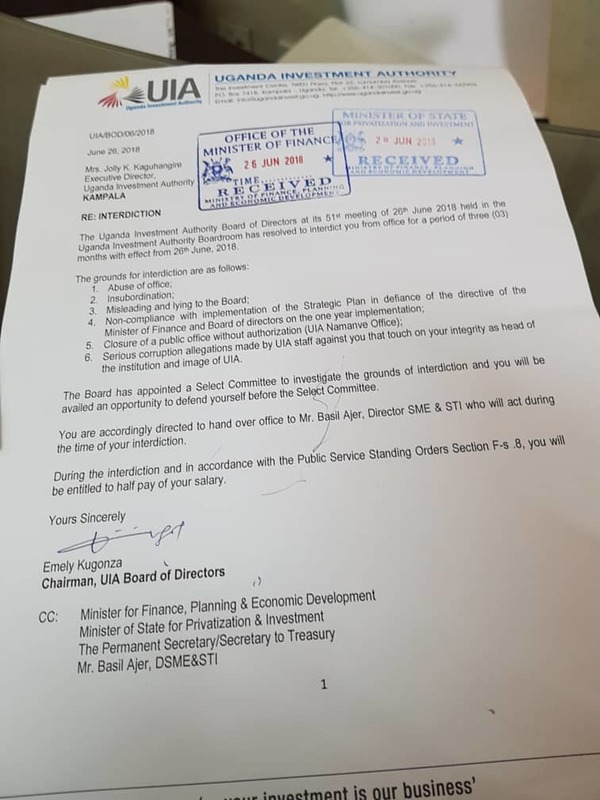 In a letter issued Wednesday June 27 evening to Mr Emely Kugonza, the chairman of the UIA Board of Directors, Ms Kaguhangire insisted the board had in it’s Tuesday decision acted out of the law and she would continue with her duties. “The purpose of this letter therefore is to inform you that the board decision in the aforementioned meeting to interdict me is irregular, void and illegal,” she wrote, adding she would continue with her duties as UIA ED. 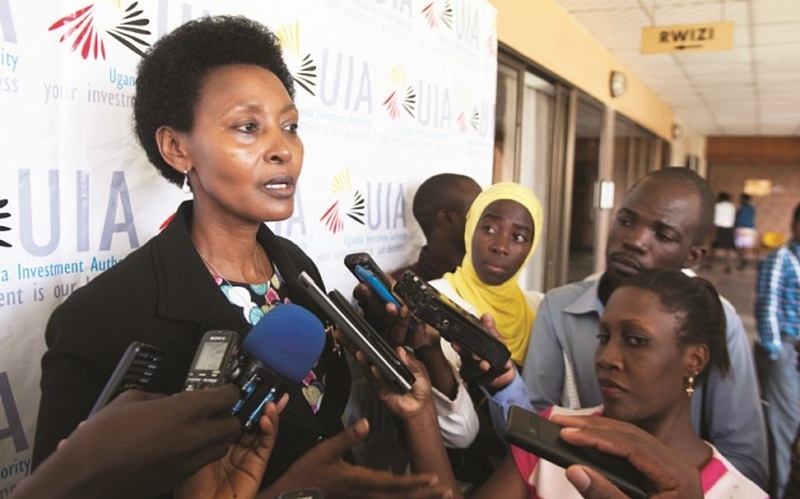 In a meeting held at the UIA offices, on Tuesday June 26, the board agreed to suspend Ms Kaguhangire for a period of three months pending investigation into corruption and sectarianism claims made by sections of the staff. Ms Kaguhangire was due to leave office immediately as directed by UIA board but she has since defied the board resolutions. “I am still in office as the UIA executive director carrying out my duties and the mandate of the Authority,” she said adding that any decision made by any other officer on behalf of the Authority is null and void. Pointing out sections in the authority’s board manual, the interdicted executive director said that the board meeting did not have the Coram to make a legal decision as stated in the Investment Code Act. “Reference is made to board manual section 3.5.2 of the Investment Code Act Section 7 and the first schedule where it puts the quorum at 8 members. Section 4.1.2 (a) of the Board Manual further states that the chairperson should satisfy himself that the meeting is duly convened and the quorate at all material times Please note at the time of the decision three (3) members had left the meeting. Initially nine members of the board signified their presence,” she said in a statement adding that a non-quorate ‘illegal meeting of only six members made the impugned decision. Ms Kaguhangire further stated that the notice of the board meeting according to the Board Manual should be given to the members not less than a period of five days which was not the case for this meeting, insisting that the effect of malfeasance alone renders baseless and remain available to answer all of them satisfactorily in unbiased forum. Ms Kaguhangire has been at the helm of the agency charged with marketing Uganda as an investment destination to both local and foreign investors since April last year. Her suspension announced on Tuesday came just days after her staff filed a petition to office of the Inspector General of Government (IGG) demanding that their boss be investigated over mismanagement of the agency, sectarianism among other anomalies. “Several activities have also been put off due to inadequate funds but the funds for her travel are always available,” the staff stated in the letter, where they alleged that a lot of money for the current financial year had been used for paying staff whose recruitment was not approved by the board. But an interdiction letter dated June 26, seen by PML Daily, Ms Kaguhangire is accused of insubordination, abuse of office, corruption illegal recruitment of staff among others. Speaking to a local television station on Wednesday, Mr Kugonza said the board reviewed the situations surrounding the institution basing on what has been happening and took a decision to suspend the Executive Director for a period of three months. “Much as the claims have not been fully investigated, it would be in the best interest that she steps aside until the investigations are concluded,” Kugonza said adding that the agency has a zero tolerance to corruption policy. He explained that when Kaguhangire was appointed she recruited her Executive Assistant and Personal Assistant who, according to USA’s management structure, are low level staff but they were paid salaries at director and executive assistant levels.